Despite a proliferation of BYOD in the enterprise, "only 10% of enterprises use dedicated MDM software, says Telsyte." This is Australian enterprises, but the US number probably is similar. There are some 30 mobile device management suites.  ZDnet reviews 10 of them, including AirWatch, AmTel MDM, IBM, Symantic and Zenprise. Gartner has a Quadrant report on MDM vendors. It's a growing business, so a good time to get in the game.